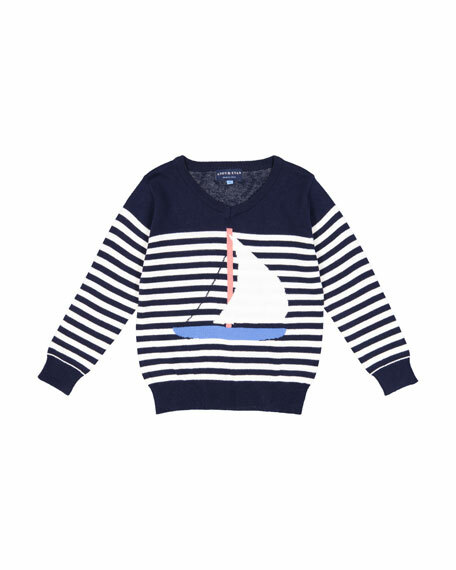 Andy & Evan stripe knit sweater with sailboat intarsia at front. Ribbed hem, cuffs and collar. For in-store inquiries, use sku #2555391.